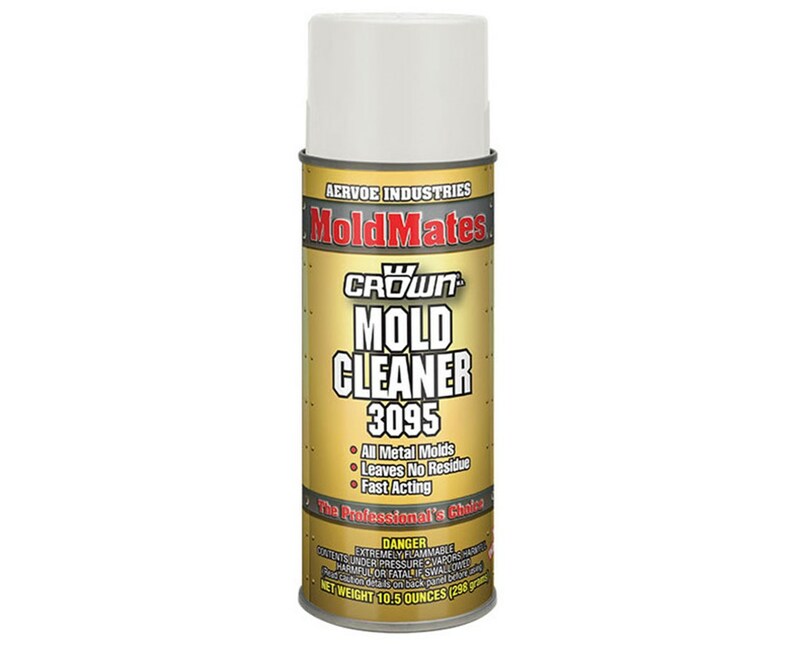 The Aervoe MoldMates Mold Cleaner (12-Pack) is a solvent-based, general-purpose cleaner that can be used on all metal molds. It removes all release agent residues, grease, oil, and other contaminants that may cause metal corrosion. It is fast acting and cleans thoroughly without leaving any residue. This mold cleaner by Aervoe is developed for in-place cleaning or for complete clean-up prior to storage. It can be safely applied on dies, pins, jigs, tools, machinery, or mechanical equipment. 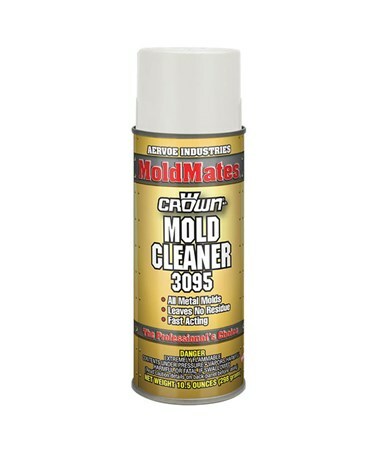 Just spray it on the molded parts and wipe clean with a lint-free cloth to eliminate contamination. It is no recommended, however, for use in poorly ventilated areas. The Aervoe MoldMates Mold Cleaner (12-Pack) comes in a convenient 16-ounce spray can to ensure easy, quick, and accurate application. It is sold by case and includes 12 cans of 10.5-ounce transparent liquid cleaner. It is covered by a one-year manufacturer’s warranty to guarantee long-lasting reliable performance. Warnings PROP 65 (CA): WARNING: This product may contain chemicals know to the state of California to cause cancer, birth defects or other reproductive harm.